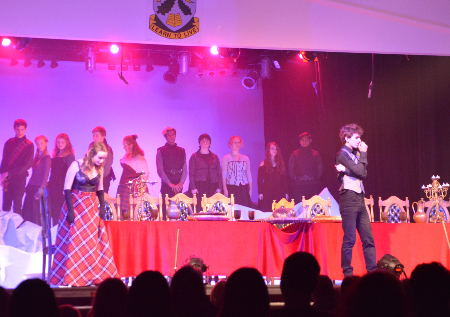 Congratulations to all students and staff who worked extremely hard to produce the wonderful production of MacBeth. The awards evening was held on Friday 6th November. 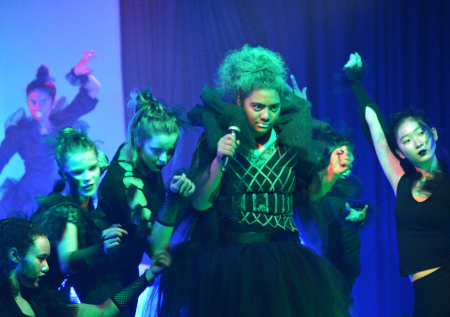 The 2015 Lynfield College production was Popstars. Directed by Celia Nicholson this 90’s musical sported hits such as “Hit me Baby One more Time” and “Hero”. David Fa’aulaga and Emma Purro played their parts with great heart while Elizabeth Wongchiu was suitably evil in the overly ambitious role of Shannon. 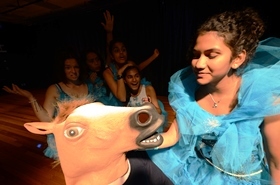 Rachel Clarke as the somewhat slow Tina, Marylinda Lamositele as Charlie, O’Shara Ardelean as Steffi, Jules Wagner as the mum Shane and Ben Roughan as the “player” all provided many of the laughs for audiences. Joseph Peteru, playing Shannon’s twin brother, must be mentioned for his extraordinary singing. He is, unbelievably, a Year 9 student. The Band directed by Lisa Norman was awesome as was the singing directed by Belinda Mittermeier. Special mention should go to Sarah Jordan for the massive amount of choreography she invented for the show as well as the amazing input of time and effort she put into rehearsals. Neil Waddington not only designed all the lighting this year but he also built most of the set including the magical mobile walls. 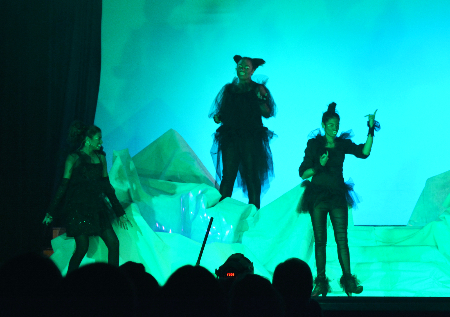 A huge contribution to the look of the show and the stage crew were always up to the challenge of quick scene changes. The show had a fantastic ensemble cast who faithfully turned up to rehearsals and were impressive in their commitment and energy. A big thank you to all staff and students involved, including those who contributed by way of costume, makeup, front of house, publicity etc. All in all with the packed houses, the show was a wonderful and satisfying success. 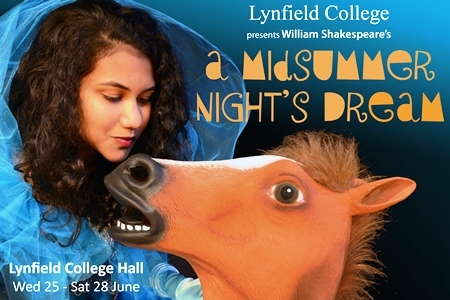 Lynfield College's 2014 annual production was A Midsummer Night’s Dream by William Shakespeare. The play is set in Athens and a wood nearby. 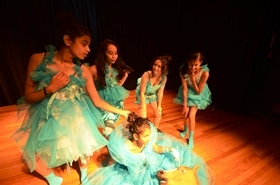 This production has the Athens scenes set in the present day and the “dream” set in a fantastical world with Elizabethan touches to the costumes. 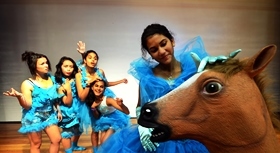 The wood is represented by dancers who play live trees and who react to the various situations. As this is intended to be a comedy, there is an emphasis on physical absurdity which parallels the somewhat crazy turn of events for the four lovers. 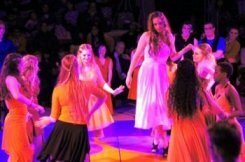 Don't we only do musicals at Lynfield College? 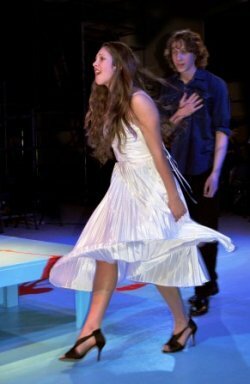 Is it Romeo and Juliet - The Musical? 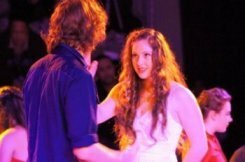 Why stage Rome and Juliet? 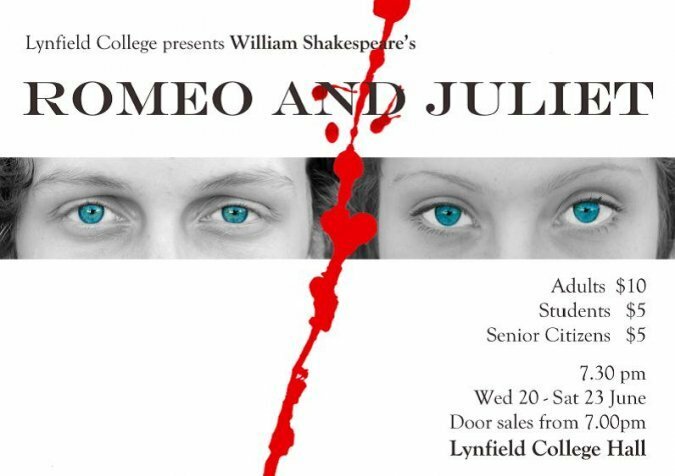 Firstly, Romeo and Juliet has remained in the global canon of literature because one of the greatest poets from the past 400 years of Western Civilisation wrote it. Secondly, for the enduring theme : that prejudice has tragic outcomes. Writing in Europe in the 1600s, William Shakespeare saw exactly the same human frailties as we witness today: ingrained regimes of culture, religion, politics and wealth; social states that define, and confine, individual freedom. The story is a tragedy about the futile deaths of the young in society. The universal theme is personalised effectively to reach both young and old. The resultant horror expressed in the play by the families and the authorities at the demise of the two lovers, combined with the emotional sense of loss experienced by the audience, creates a potent opportunity for insight. The purpose of art, the purpose of literature, is to hold up a mirror so that we might see ourselves and the world we inhabit, more clearly. 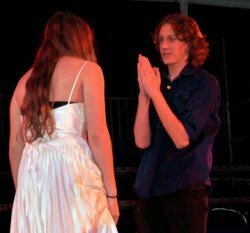 That is why we are producing, Romeo and Juliet. Come. See for yourself, whether it be Art or not.